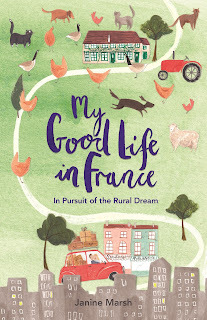 Welcome to ‘France et Moi’ where this week, as part of the publication celebrations for her memoir My Good Life in France, I am talking to author Janine Marsh about what France means to her. Janine Marsh is a travel writer and editor of the award winning website and Magazine The Good life France. Janine: Ooh that’s a tough question – so many things but I’d have to say one of the stand out things for me is bread! I love that there are artisan bakers and beautiful boulangeries where ever you go. The smell of a fresh baked baguette or a buttery golden croissant is so very French (and delicious). Janine: I was 14 years old and went on an exchange trip to Antony in the suburbs of Paris. I came from a London council estate and I was absolutely mesmerized by France. Drinking bowls of hot chocolate and dunking our croissants in them, being sent to the boulangerie for a cake after school, a trip to Versailles – it all seemed so exotic! I feel head over heels in love while I was there and I am still in love – with France. Janine: Best thing? Again a tough one but I found an injured kitten in the town of Boulogne-sur-Mer. It was being attacked by a bigger cat. I rescued it and bought it home, fed it with a pipette as it was so tiny and I never thought it would make it through the night. Winston, as I called him, did survive and he is now the biggest cat in the village. 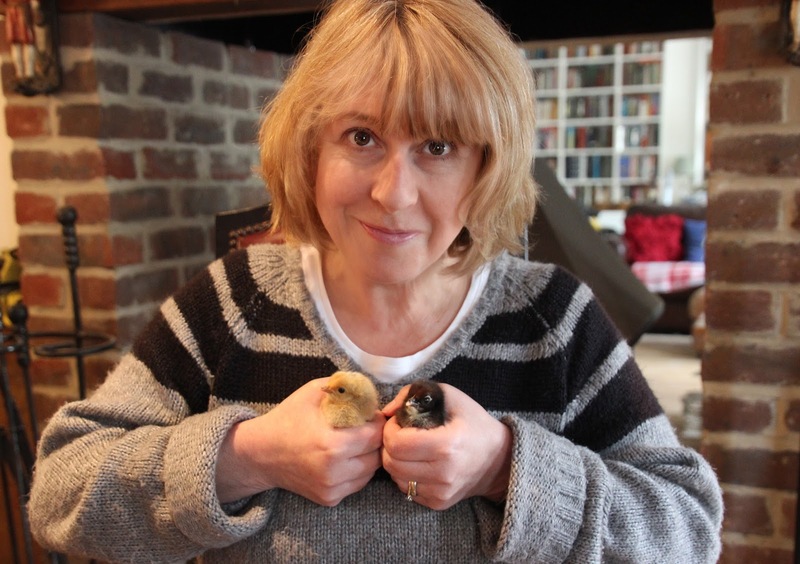 It made me realize I love animals – a lot, I now have more than 60! Dogs, cats, chickens, geese and ducks. It still surprises me as I had never had, nor wanted an animal before! Janine: Well I probably make a load of mistakes but happily I am blissfully unaware! I am of the opinion that in France, you have to try however bad you are at it to speak French. It’s doubly hard where I am as my neighbours speak a local patois called Ch’ti. When I first came here I was given a Ch’ti dictionary by one of my neighbours because it’s a different language. For instance chair in French is chaise – here it’s cayelle! I just try my best and chat away as best I can and sometimes my French friends laugh at me but mostly they say they find it cute when non Frenchies try to speak French! 5) As part of your website/online magazine The Good Life France, you have become very well travelled in France; do you have a favourite place to visit in France? Janine: Blimey Jacqui – that’s such a hard question! I love Lille – it’s a wonderful cultural, vibrant city with a fabulous bright vibe. I love Audresselles, a tiny tiny fishing village on the Opal Coast in the north. Nice, Paris, Provence, Loire, Burgundy, Annecy… I love so many places and I still have a load more to discover so it’s a never ending answer! 6) If money and commitments were no object where in France would you like to own a property and what sort of place would it be? Janine: I’d love to do up a chateau! We’ve spent 13 years renovating this old farmhouse. It had dirt floors and some of the doors were made of corrugated metal – they used to flap in the wind. We replaced 37 windows and mixed more than 100 tonnes of concrete. There were times when I thought – never ever again. But now we’re nearly done I miss it. I love doing DIY, I’m proud of what we’ve achieved and I think I might just be ready to start again! As to where in France… I think I’d stay in the north. We might not have the sunshine but I love the authenticity of this place, the respect for traditions and heritage – and the food! Janine: Oh I’m definitely a goat cheese – perhaps with some rose petals on top. One that’s matured for just about a week, fresh – and slightly nutty! Janine: A grand café crème and I’d expect to get an espresso! It’s hard to find a proper American or UK style creamy coffee but I’ve got used to the dark side to a certain extent. Just being able to sit outside a French café on a sunny morning is pleasure enough! 9) Every region in France has it’s own culinary specialty, do you have a favourite regional dish? Janine: I love flammekeuche! They’re a northern French pizza made with sour cream and cheese and onions with a thin pastry. I could eat one every day of the week (which is why I am permanently on a diet!). I also like Charles Quint’s Finger Cake! No I don’t really but I can’t resist telling you about them. Charles Quint was the Holy Roman Emperor in the 16th century and he had gout. In this part of France there is a cake dedicated to his gouty old fingers – it’s a long sponge with red jam that oozes out. How weird is that?! Finally, your memoir My Good Life in France has just been published, can you tell us a bit about it and how you came to write it? Janine: It’s a dream come true! I love writing. Sometimes when I’m supposed to be cooking dinner and I start writing I just forget everything else. Some people use a timer to alert them to dinner being ready to serve, I have a smoke alarm! It all started when my Dad got sick. I’d already left for France but when he was diagnosed with cancer I went back to London to help look after him. Some days I’d sit and scribble away – I didn’t have a blog then. My Dad would ask me about what I’d written and said “you’re not bad at that – you should try and write a book”. I didn’t really think anything of it but when I went back to France after he sadly passed away, my other half set me up a blog so that I could keep in touch with friends and family. They used to ring constantly asking us about what was going on – how many more strays had I taken in? Had my neighbor who was in love with a chicken split up with his nubile girlfriend? Had I broken any more bones carrying breeze blocks and building walls? I thought about what my Dad had said and decided to give it a go. The first month my blog went live I had 480 views – I tell you I was amazed and I quickly got hooked on writing every day. Six months later I had 60,000 views a month – now I get more than 1 million page views a month – I’m so humbled by it I can’t tell you. Anyway a publisher who follows me on my blog offered me a book deal – and I grabbed it with both hands and the result is “My Good Life in France”. It’s had some lovely reviews – my favourite is “a warm and uplifting read, effervescent like a glass of your favourite Champagne” and “move over Peter Mayle (A Year in Provence) - there’s a new girl in town and her name is Janine Marsh” – woohoo! My Good Life in France is published by Michael O’Mara Books and is available in paperback and ebook format. You can read my review here. Links to Amazon can be found below.